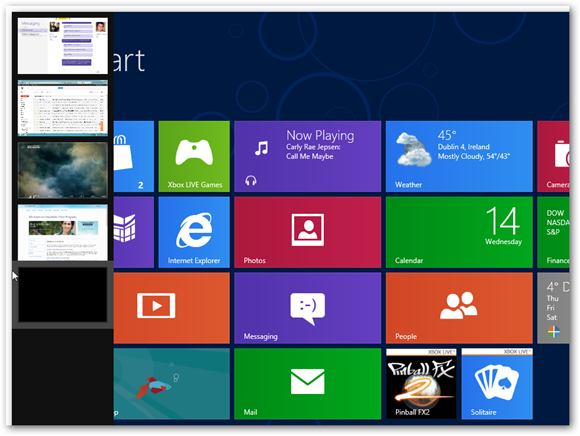 Windows 8 is without doubt predominantly built around a touch interface thanks to the new Metro UI which now doubles up as the start menu. Microsoft have added in a few new clever shortcuts and gesture controls to help you navigate the OS, but these controls seem to be more suited for touch input more so. However after playing around with the Windows 8 Consumer Preview I’ve become a lot more accustomed to using these controls with my mouse. In this post I’ll show you these new gestures which can be performed with either touch input or by using the mouse. One thing that most of you will probably notice in Windows 8 is that the start button is no longer there anymore. While the initial shock of getting over the fact that it’s missing from the bottom corner could take some time, you’ll quickly discover that it is in fact still quite easy to access. In order to access the start menu with a mouse, you will have to move the cursor to the bottom left and click. Alternatively you can just press the Windows key on your keyboard. PS: If you;re missing the start button in Windows 8, you get it back. 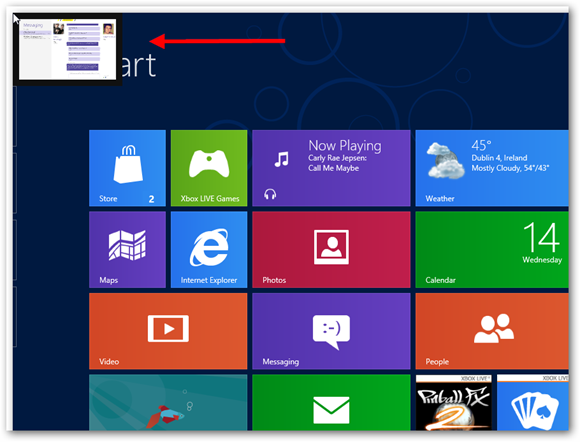 Read about getting Start button in Windows 8. Windows 8 has a completely new way of switching apps from the Metro UI, and it’s actually incredibly handy and efficient, especially for touchscreen devices. No matter what program you are in, if you Swipe In From The Left Slowly you will see the most recent apps thumbnail that you used appear in the top left. If you Swipe Quickly it will automatically switch to that app. If you’re using a mouse all you have to do is move the cursor to the top left of the screen and the most recent apps thumbnail will appear, clicking it will switch to that app. 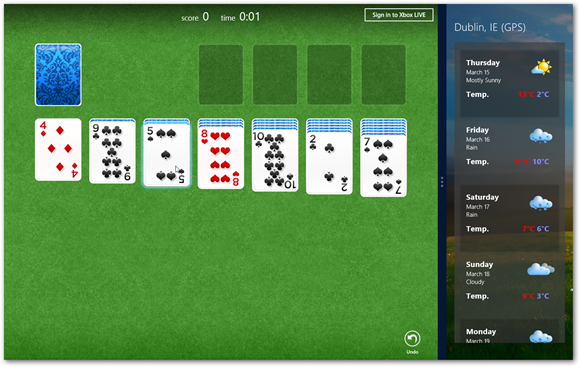 There’s also another swiping gesture which will show you all of the apps that are currently opening. By Quickly Swiping From Left To Right and Back In (Short Swipe) you will display the full list of apps that are running. Just tap on the one you’d like to switch to. If you’re using a mouse it’s simply a matter of moving the cursor to the top left as mentioned previously, and then moving the mouse down to open up the full list of thumbnails. You can then click on the app you’d like to switch to. Alternatively you can use Alt + Tab on your keyboard to switch between apps. 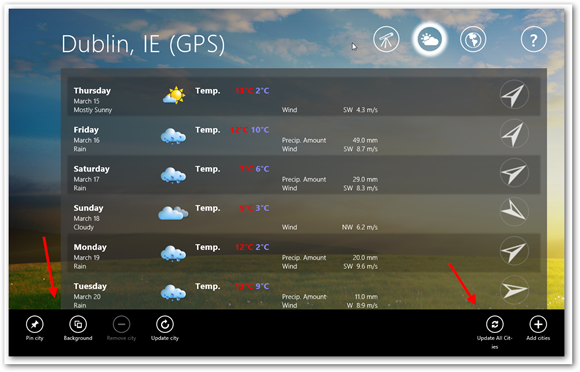 The charms menu includes handy Windows tools such as Search, Share, Devices and Settings. To access the charms menu simply swipe in from the right hand side of the device and it will be displayed. Access the charms by moving your cursor to the top right of the screen and then down. Alternatively hit the Windows key + C on your keyboard. Windows 8 does a pretty good job at hiding things like settings from the users view when you are using applications. However this can make them tricky to find since you can’t see any obvious icon for them. All you have to do is Swipe Down when you are inside the app you want to see the settings for. 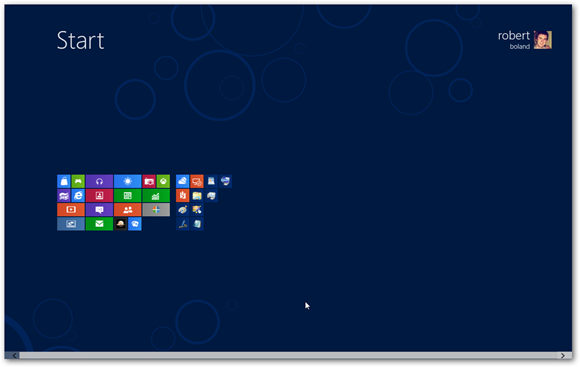 You can also Swipe Down on a tile in the start menu to bring up additional settings for that tile. If you are using a mouse simply right click towards the top of the screen to show the settings for the app that you are currently using. Semantic is a new feature that was introduced in the Consumer Preview, it basically zooms your start menu way out so that you can see all the apps at once. To enter Semantic Zoom all you have to do is pinch out from the start menu. You can also use pinch to zoom throughout the OS in supported situations. If you’re using a mouse the easiest way to enter Semantic Zoom is to press Ctrl and then scroll out with your mouse wheel. This action is a little bit tricky until you get used to it. What you have to do is similar to how you switch apps. You’ll have to carefully and slowly swipe in from the left and then drag the thumbnail of the most recent app to the side of your screen. Once you’ve successfully managed to get it to snap you’ll be able to resize it in relation to the other window. It’s actually much easier to perform this action with a mouse. All you have to do is right click on the thumbnail that appears when you’re switching apps. If your resolution is high enough to support snap, you’ll have the option to snap left or right. Theoretically you wont actually have to close apps in Windows 8 since it pauses them when they’re not in use. But Microsoft have still included an option which allows you to close apps. Simply slide your finger down from the top bezel of the device down towards the bottom when you’re in the app you want to close. You should see it disappear before you reach the bottom. If you’re using a mouse you’ll need to perform the same action as you did for switching apps, but then right click on the thumbnail and select close. You can also just drag from the top of the screen to the bottom in a motion similar to the touch method in the app you want to close. 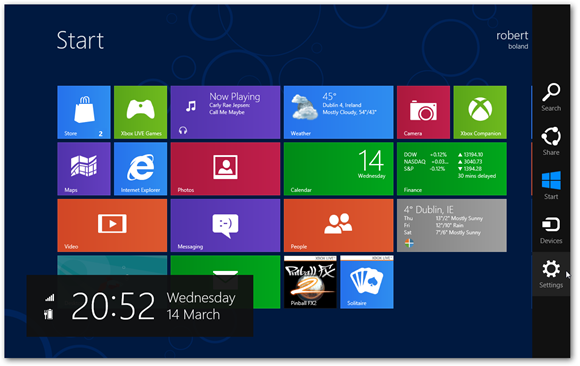 Microsoft have included a custom version of Internet Explorer specifically tailored for touch in Windows 8. There’s very few actual buttons you can see which can make things somewhat confusing. To go back and forward it’s actually quite simple. IE does have some on screen buttons but if you just swipe from the centre of the screen left or right you can navigate back and forwards. To access open tabs, swipe down from the top. The easiest thing to do is just click on the forwards and backwards arrows in IE, and to view the other tabs simply right click towards the top of IE. I think you’ll agree with me that the Metro UI does actually take a bit of time to get used to, Windows users are not used to all these different gesture controls but I was surprised by how quickly I became used to them. After a day of using Windows 8 I was already naturally starting to move my cursor to the corners. These gestures will certainly be slightly harder for mouse and keyboard users to get to grips with, but with a bit of practice they become second nature.